Edgar Kirk Worthington was born in 1868, the third son of William and Ellen Jenner Worthington in San Francisco, California. 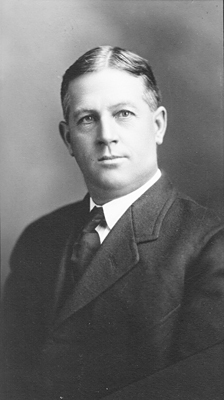 Edgar (“Ed”) actually attended and graduated from the University of Washington instead of attending high school. That was an option for students at that time, as the U of W was very small and was looking for students. Ed, his mother, and brother WJ all worked hard to pay for his education. They were always a close knit family whose lives and welfare were intertwined personally and in business. In the summer of 1898 Ed ventured up to Skagway, Alaska, to sell groceries and provisions out of a tent store in the mine fields. According to a family story, he came back with only $5 profit. In 1907 Will sold the Quilcene grocery store and house to Ed, who then sold it a year later to a relative, Burton E. Legg. 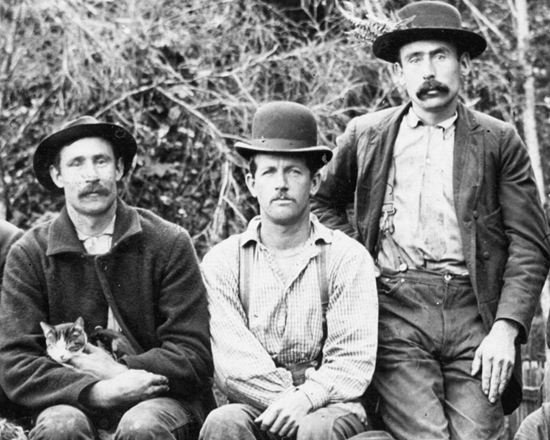 For many years, the Worthington brothers invested in timberland and logging operations in Jefferson County and business property in Seattle. Ed worked at the Tom Pierce logging camp in 1909 at McDonald Cove south of Brinnon on Hood Canal. Ed often lived in Quilcene with his mother until his marriage when he was nearly 40. He married Mabel L. Robertson from El Paso, Texas, with a daughter, Minnie Kathleen Robertson (1899-1955). By 1910 the family lived in Seattle, where Minnie, who adopted the Worthington family name, attended Queen Anne High School. Edgar K. Worthington died on March 15, 1944, at the age of 75 in Los Angeles, where he and Mabel had moved in his retirement to be near Minnie. His family remembers him as a successful entrepreneur who took time for family relationships. He was devoted to his mother, Ellen, and close to his brother, Will, even when their relationship had its share of conflict. One such incident was when Ed sold some clothes belonging to Will, who was most angry about the mishap. Ed wrote letters to his niece, Grace Worthington, when she attended Wellesley College near Boston, Massachusetts, in 1915-17. He also brought a present of a jackknife to one of his great nephews in the mid-1930s on one of his frequent visits to the Will Worthington family in Quilcene. Ed Worthington was a pioneer businessman in a dynamic era of our Pacific Northwest history. Edgar at center, with fellow loggers and camp cat. Logging Camp in 1909. 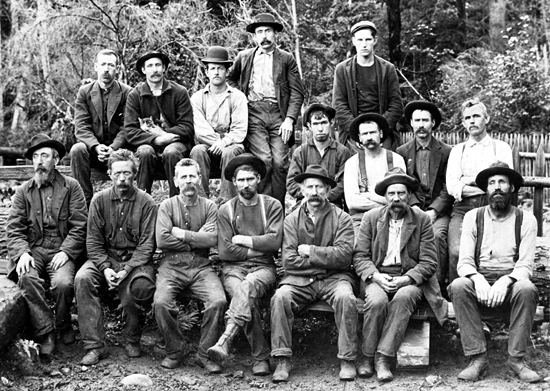 Edgar Worthington is seated in the top row, third from the left with derby hat.